The right for people to assemble peacefully is fundamental to genuine and sound democracies. 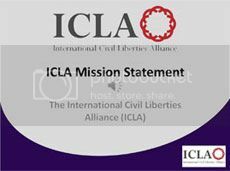 Thus, it is with grave concern that the International Civil Liberties Alliance continues to see systematic harassment of and even assauls on, peaceful public assemblies. This takes place in several countries, including Great Britain, Sweden, Denmark and Germany. The states bear an obligation to facilitate and protect peaceful gatherings, and based on international standards, there is a clear presumption in favour of holding assemblies. That includes assemblies conveying controversial messages. Unfortunately, authorities in several countries, even West of Vienna, seem neglient of this obligation. This was very notable in Germany leading up to the recent election, where the parties Alternative für Deutschland and DIE FREIHEIT were primary targets of such assaults. Certainly, DIE FREIHEIT and Michael Stürtzenberger are unpopular in the eyes of the political establishment, but that does not negate the obligation to protect his peaceful assemblies from intimidation and attacks, and to effectively prosecute those who disturb assemblies. Unfortunately, German authorities are willfully obstructing his rallies, which also impairs the fairness of the elections. 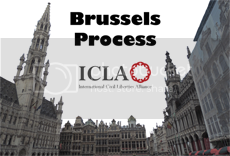 ICLA reminds Germany of its commitment to facilitate and protect public rallies, and to refrain from imposing bureaucratic restrictions on them. ICLA urges ODIHR to send monitors to rallies at risk, also West of Vienna, in order to independently assess the situation on the ground.